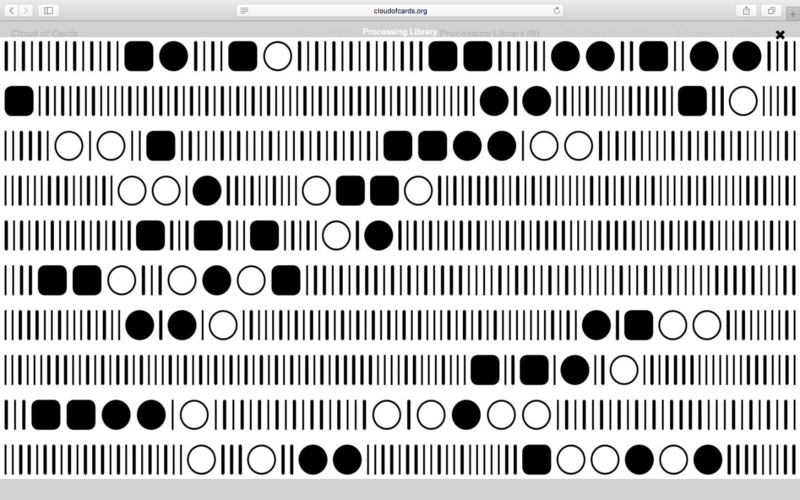 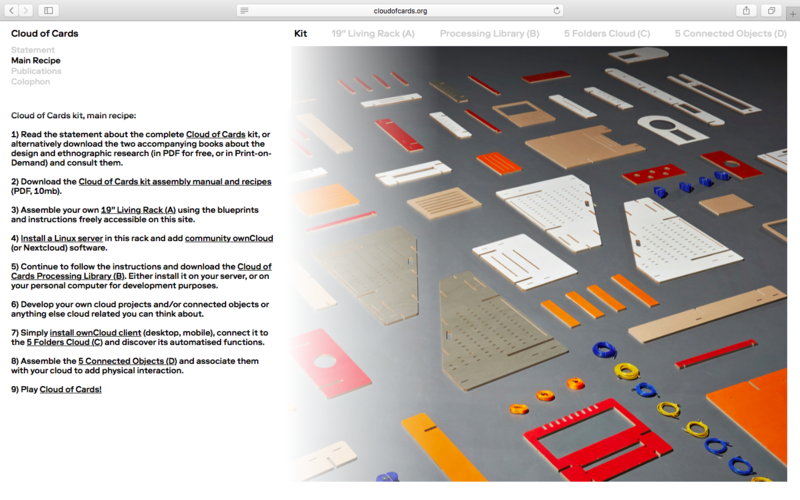 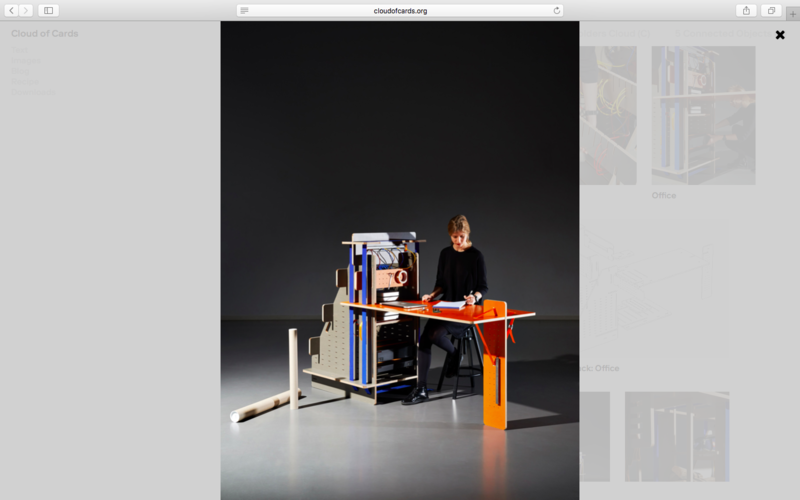 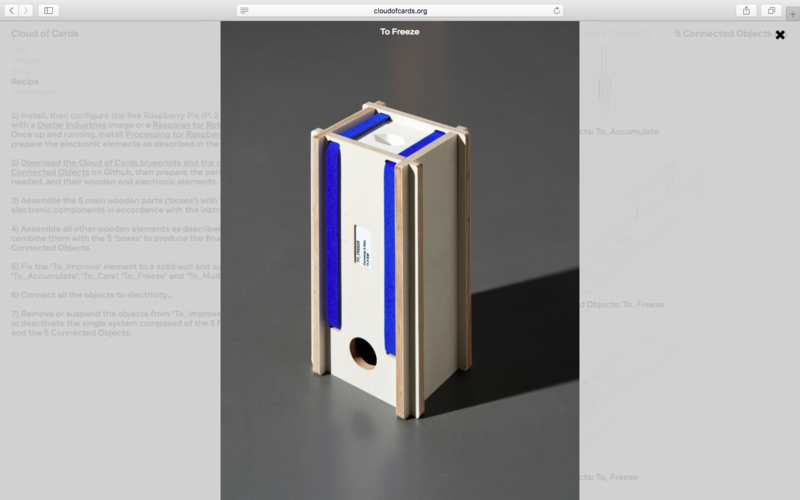 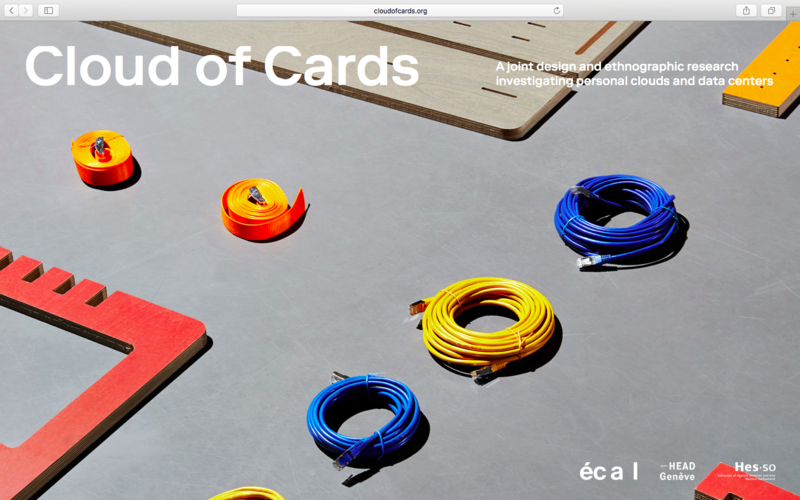 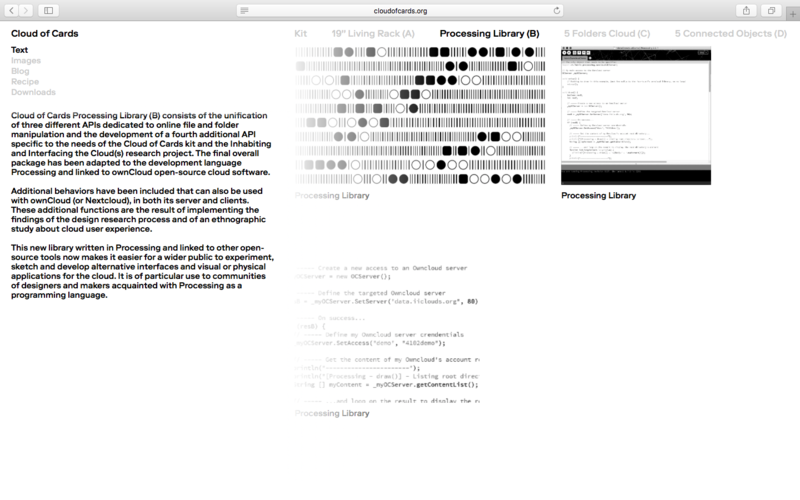 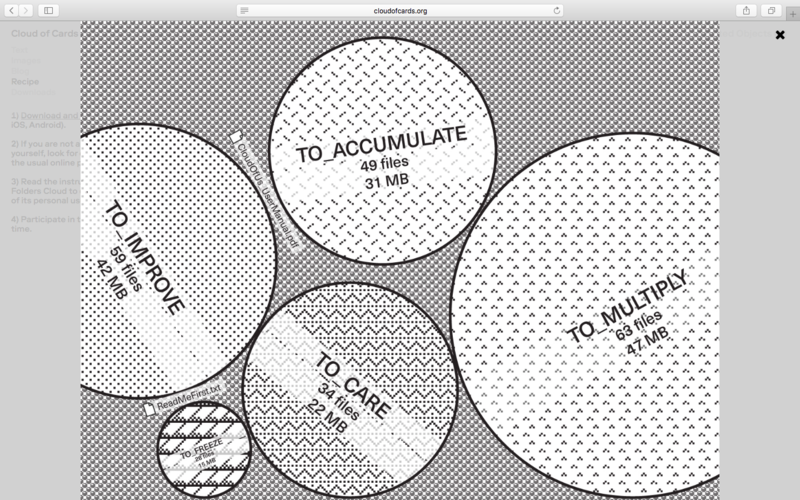 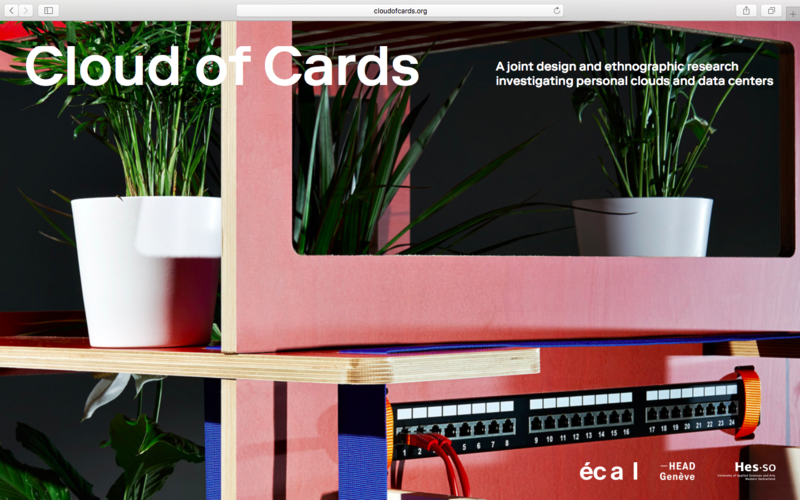 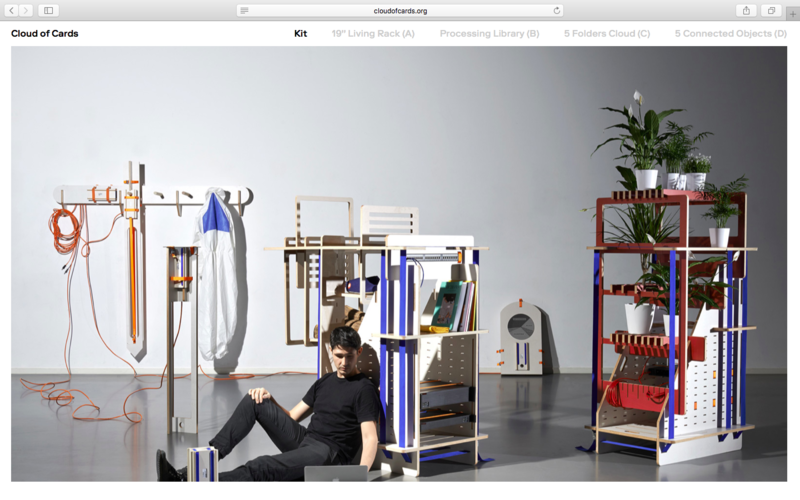 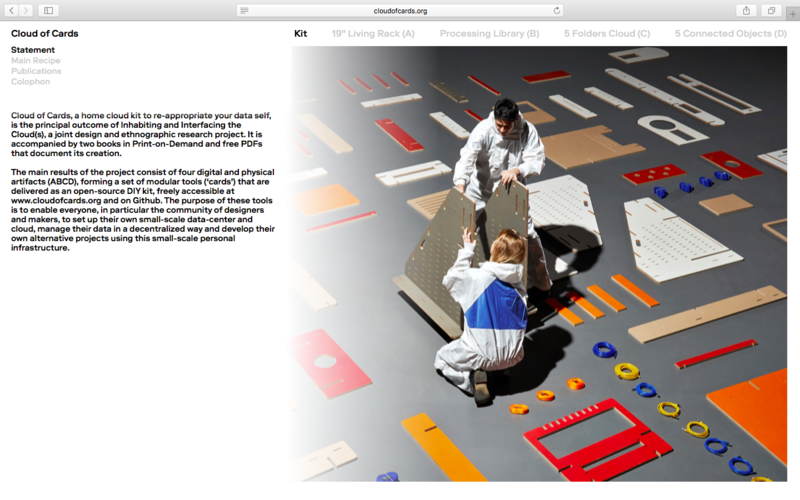 Cloud of Cards – A joint design and ethnographic research investigating personal clouds and data centers. 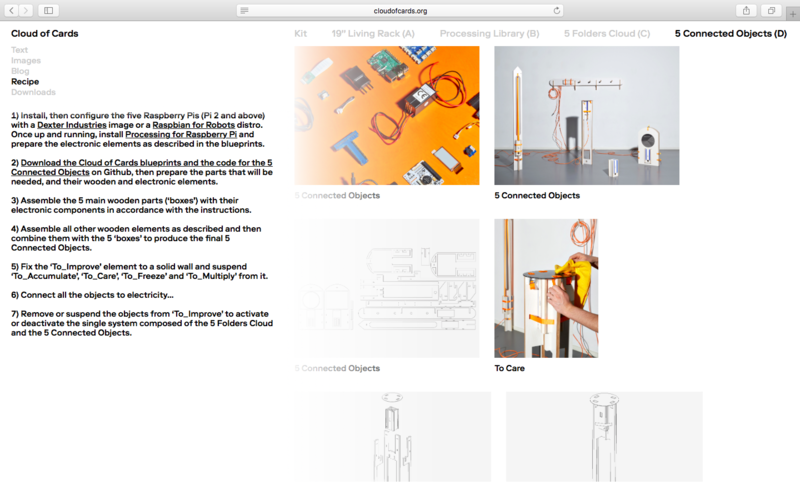 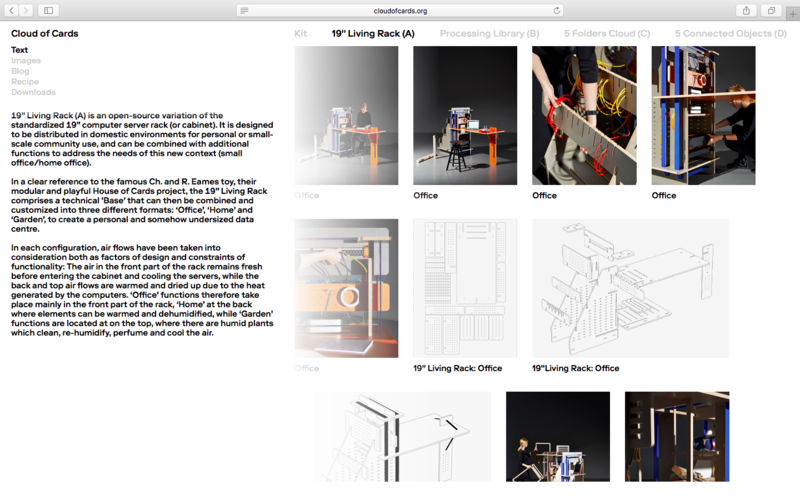 Functional prototypes and blueprints can be accessed, and freely downloaded, for further use or development of new cloud alternatives and personal projects. 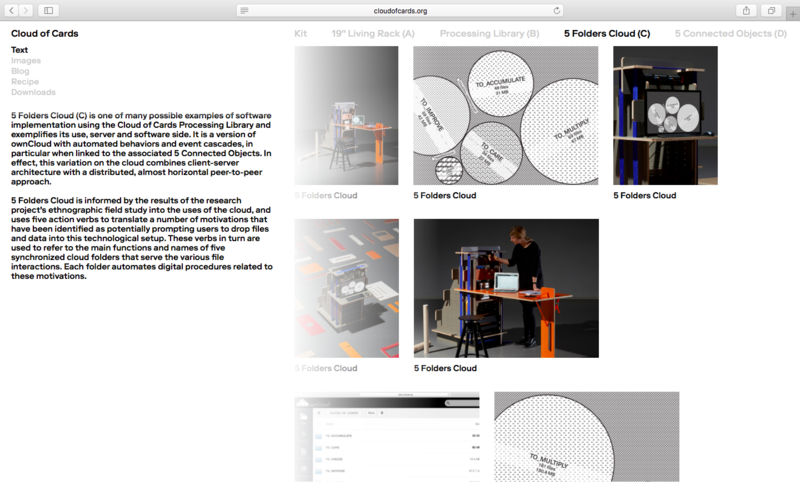 Tools in the form of blueprints for several 19″ server racks, as well as a Processing API for the open source cloud software “ownCloud” too can be downloaded as well. 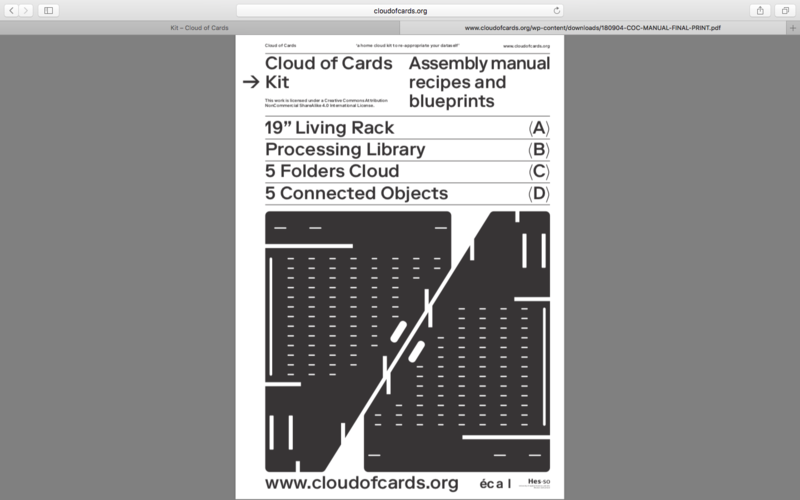 Two books in Print on Demand are also accessible from www.cloudofcards.org.